This is not confirmed, however, I've heard from a park source that S: UF's on-ride camera may be removed this season. Rumor has it that it will go to Maxx. If the park decides to get a new one for Maxx then S: UF's will likely remain in place. I don't know when the last time I saw SUF's photo booth open. Makes sense to me. If Superman's on ride photo is removed, that's really not much of a loss. The fact that it was at the bottom of the pretzel loop meant that it was near impossible to pose for it and the photos always came out unflattering. great america fan wrote: ...spotted this at the Volo Auto Museum. Such a shame that this was taken out. It was a nice break from thrill rides. SFGAM_Hog wrote: Anything new at the park you could notice? 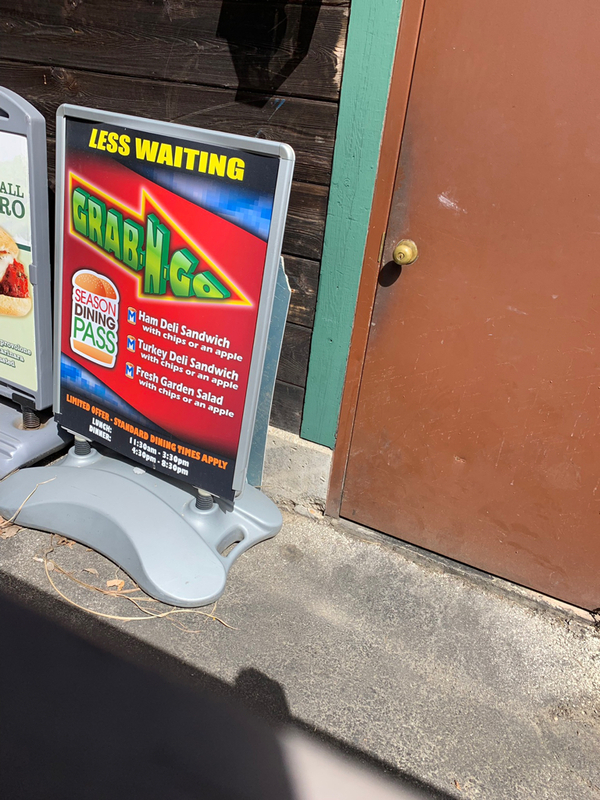 Not too much, Carousel Gifts is unchanged on the outside, Pictorium sign and all of it's canopies are still intact, some stores now have Dining pass snacks all in one spot so you know what the pass is valid on, and Bull yellow train looks like it got new lapbars. There's nothing super note-worthy so I didn't remember it all. I mainly focused on the Maxx Force area before ditching the park from the cold. Whizzer: Appears to have one wrapped at the ride. Last edited by Goku1910 on April 13th, 2019, 8:58 pm, edited 1 time in total. Ride Status has been updated based on reports from today. Is Superman being repainted as it looks like the turn out of the station has been painted. Honestly, I don't know.....I noticed the yellow rails looked painted but then I remembered that's the only part of the track that hasn't completely faded. Did anyone else at the park today see the dead bird in the middle of the midway by carousel gifts? it looked like it had been there for some time (I Assume it fell off of a construction vehicle for max force). Either way, not the best look for "the cleanest theme park in the world"
^ There is also a new store for all the Great America merchandise in Orleans Place called "Great America Emporium" and all the Looney Toons merchandise was moved to El Mercado. It sounds like Carousel Gifts is going to be entirely Maxx Force merchandise if they needed to move everything that was in there to separate stores. Grab and Go meals coming to a stand near you this season. Anyone at the park: is the area behind the shops in Yukon Territory blocked off for the Hell Fest haunted house still? I hope it isn't up all year long because it's a nice walkway to view V2 and get away from the midway. Getting into the park, all employees are using phone cameras to scan passes. They are also taking your photo for ID purposes in place of biometric scans. SFGAM_Hog wrote: Anyone at the park: is the area behind the shops in Yukon Territory blocked off for the Hell Fest haunted house still? I hope it isn't up all year long because it's a nice walkway to view V2 and get away from the midway. Lights on Batman in the tunnel are functional once again... don’t remember if they worked last year or not. I don't see where the online Dining Pass has been updated yet. Still showing 2018. Do you have a link to the new pass? Last edited by anewman35 on April 20th, 2019, 2:00 pm, edited 1 time in total.